Rock singer Ian Astbury has shed light on various aspects of indigenous culture throughout his 30-year career fronting The Cult and now he's zeroed in even more on a specific plight - the horrific history of Native American women. "How can you look away?" 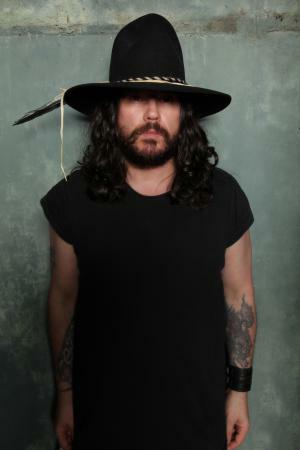 says Astbury, sitting in a downtown Toronto suite when he was in town to promote The Cult's new album, Choice of Weapon. "I've had an affinity for indigenous culture since I came to Canada [from England in the 70s] because they embraced me. "When I came here, I felt ostracized and the main white Anglo-European culture and the indigenous kids were cool and just took me for who I was. Then, learning about their culture, it was always a love affair with the indigenous culture and the indigenous people. So that's an area I find myself drawn to." 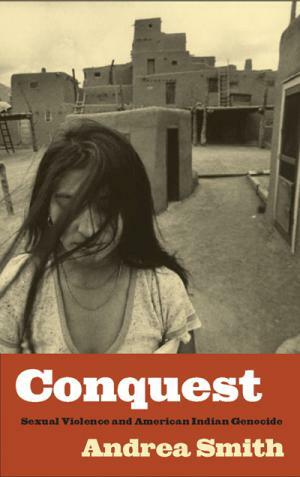 Astbury is one of the producers of a documentary called Conquest, based on Nobel Peace Prize nominee, scholar and activist Andrea Smith's book Conquest: Sexual Violence and American Indian Genocide. It won the 2005 Gustavus Myers Outstanding Book Award, presented to works which help shed light on bigotry in America. "It's to do with women's experiences over the past 500 years in the Americas and, more recently, what indigenous women's experiences have been predominantly on reservations - with the healthcare that they have and forced sterilizations," Astbury says of the book. "Then, when a community becomes closed, the energy goes inwards. What the women's experiences have been in the community - which have for all intents and purposes had the heart ripped out of it - how things like violence and sexual abuse [occur]." The 90-minute documentary investigates and exposes "an untold massive injustice carried out by white America on its indigenous people," the web page for the film states. It is directed by Lorna Love (The Man From Unkle), and co-produced by Astbury's Nous Defion, Simon Egan's Bedlam (The King's Speech) and Sasha Stone. "There's a possibility it might get to Sundance in 2013 - there are a few companies interested in putting it out," Astbury says. Love turned her attention to the creation of this documentary after Astbury read Conquest: Sexual Violence and American Indian Genocide and passed the book on to her. The pair met when she was making a film about the British electronic music group Unkle, which her then-husband James Lavelle co-founded and with whom Astbury has collaborated. Love wanted to bring Smith's findings to a documentary - and have Astbury involved. "There are some very very powerful interviews in it. I was present for the principle interviews," says Astbury. "I only have a role as a producer. I'm a male; it's got to be the women as director." Astbury has directed before, though. He made his directorial debut in 2010 with the 3-minute, 44-second Prelude2Ruins (available on The Cult's Capsule 1 EP, which he describes as "a montage of images taken from a longer yet to be released film that's about the struggle between the pressures of reservation life, and spiritual vs. material beliefs, and a young woman who's torn between both worlds and the choices she must make." It was shot in South Dakota at the Pine Ridge Indian Reservation. "They have a sense of purpose and we do need to go to them. They're like the canary in the coalmines. If they go, we're definitely going. You've got Inuit elders coming to you going, 'We just want to share with you that our women can't breast feed their children anymore because there's so much mercury in the water. Just to let you know, it's coming for you.'" "I've been to a few reservations in South Dakota and Arizona. Arizona is a tiny bit better, but you get to Pine Ridge and that needs to be fixed. You say, 'What's the solution?' The solution, personally, I think the women are the real key, the matriarchs. The stoic matriarchs in some of these communities are really holding it together. "That, in essence, is where the energy and the real essence needs to be done - is working with these women and having them guide and determine what needs to be done in their communities because they're the ones that actually look after the kids. Grandmothers are looking after generations of children." "I consider myself North American now," he adds. "Indigenous communities, there's knowledge there that we have to access - pretty soon. We gotta go in there and plug the gap and help these communities become vibrant again because it's a resource we need."